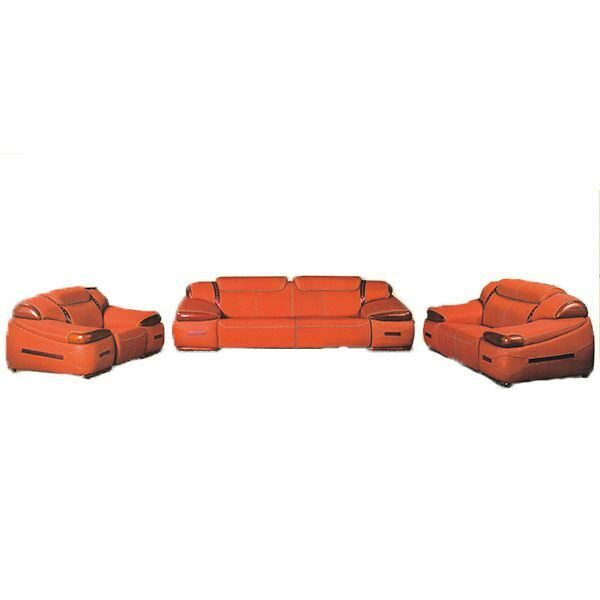 • Genuine leather upholstery in Orange color will lets you lounge in comfort. • Plump, high-density foam cushions create a satisfying space to unwind. • Savour the modern design touches, such as wood, padded headrest and armrest. • Durable for everyday life use and the combination of wood used in the furniture frame. • Wood base for added support.